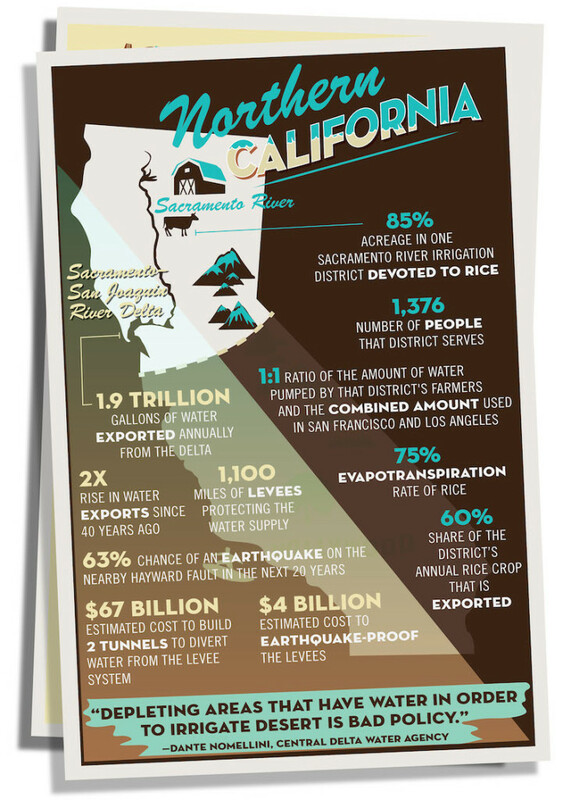 California is generally dry state, but the drought in the last couple of years is unusual both in duration and size. Many scientists argue that the likely causes are changes in the global climate. Reduced rainfalls in combination with high temperatures create a problem for other Western States all the way to the Midwest and Minnesota. 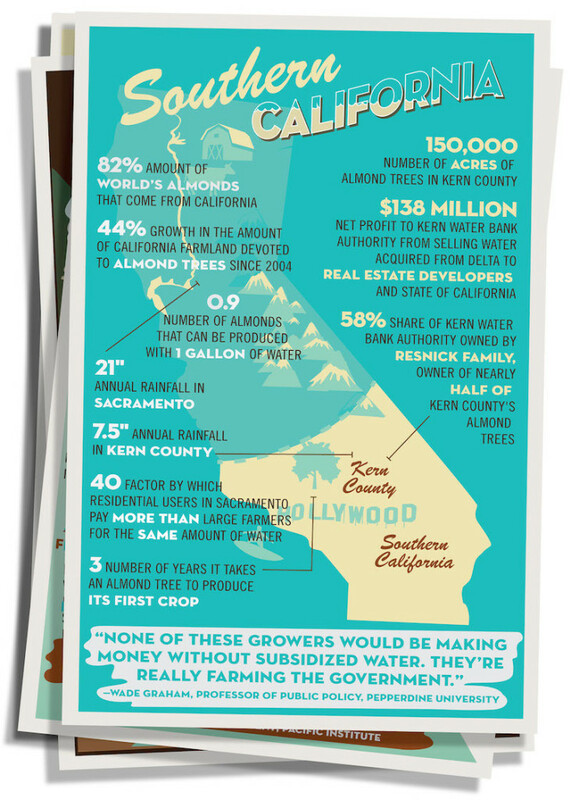 If the trend continues, the US will have serious water difficulties and will probably have to change not only the nature of consumption, but also the type of farming. 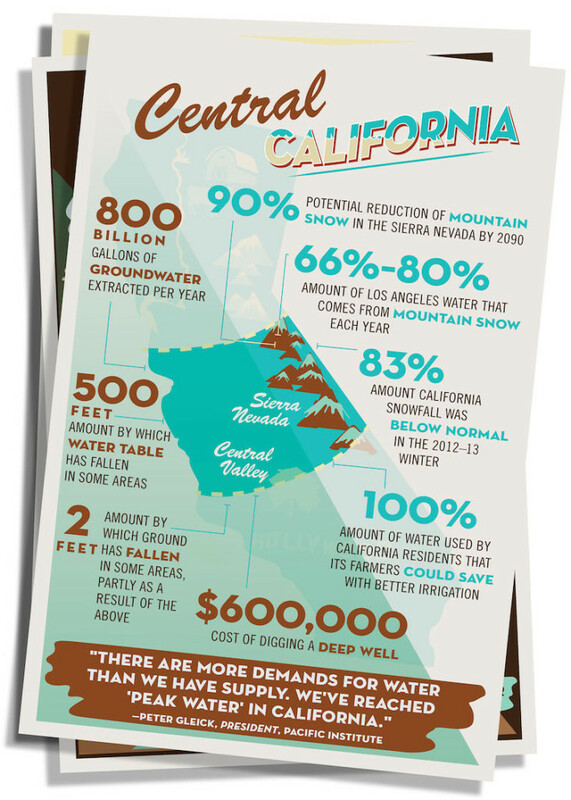 The water collections system of California is structured to retain the water of the gradual snow melt during the spring and summer. But this year the snow will be even less, and the usual storms in December and February brought more rain and not snow. Currently dams are around 50% of their capacity and some meteorologists predict that nothing dramatic will happen with water until the beginning of the rainy season, which begins in autumn. 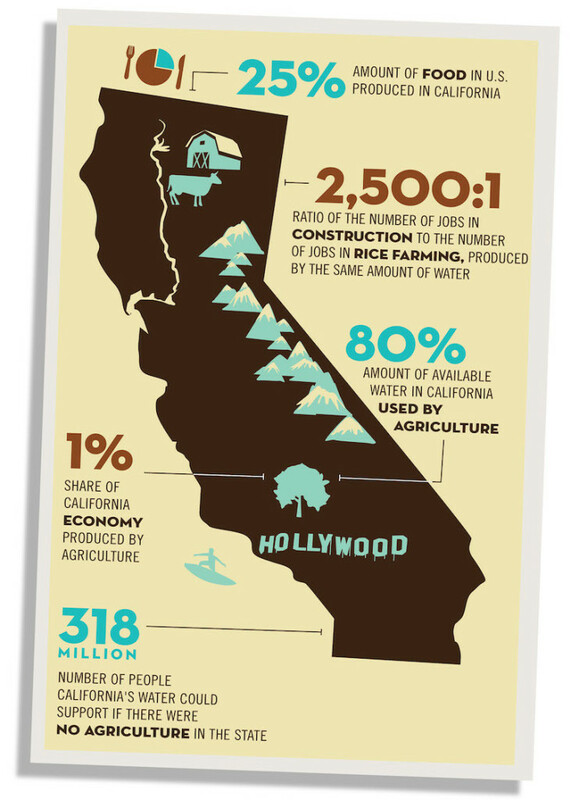 The infographics bellow shows the nature of water consumption and water sources in the state of California.